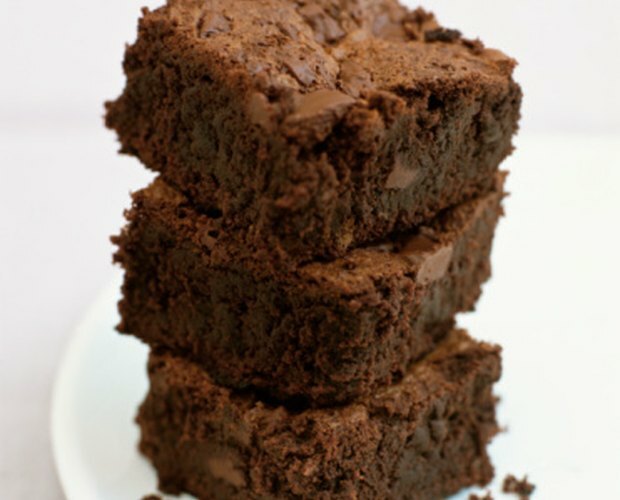 Moist and cake-like or tender and chewy, brownies are an easy-to-make dessert or sweet snack. Mixing up the batter is a cinch because recipes often contain common ingredients that most cooks have on hand. Some cooks even have a secret recipe or ingredient that makes their brownies unique. 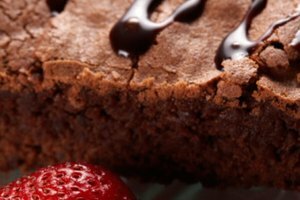 But while the effect is ultimately ruined when brownies end up hard and dry, a few tricks and tips can help give yours the right texture and consistency. Pour the dry ingredients in small increments into the wet ingredients and mix lightly. Do not over-mix, which can cause the brownies to become hard and tough when they come out of the oven. Use a light-colored pan to bake the brownies. Dark-colored pans tend to burn the edges. Grease the pan thoroughly before adding the batter. Use shortening, cooking spray or unsalted butter to coat the sides and bottom of the pan. Shorten the cooking time by three to five minutes. Insert a toothpick into the center of the brownies to see if they are done. The toothpick should come out clean. Lower the cooking temperature by 25 degrees. Check the brownies with a toothpick and increase the cooking time if necessary. Store brownies in an airtight container at room temperature. Adding a slice of bread to the container will help keep the brownies from becoming stale. How Long to Bake Mini Cupcakes?